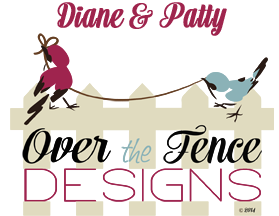 Over The Fence Designs: theStudio Annual Christmas Carol Blog Hop! It is once again time for theStudio Annual Christmas Carol Blog Hop! Thanks so much for stopping by, enjoy the blog hop!! Be sure to stop in at our store at theStudio, and pick up a great deal! I love this song -- family is what it's all about; isn't it? Thank you for sharing! May you & your families have a wonderful holiday! Merry Christmas! You're welcome, and Merry Christmas! Thank You for your Christmas Carol mini! I love the Gingerbread people! Merry Christmas! Thanks so much for the wonderful mini kit. You have give us so much and love it all. You're welcome Barb, and Merry Christmas! This is beautiful - thank you so much! You're welcome Connie, and Merry Christmas! You're welcome Pam, and Merry Christmas! Wonderful mini. Thanks so much. Love your kit. Thanks so much and wishing you a wonderful family Christmas! You're welcome Leanne, Merry Christmas! You're welcome Dona, Merry Christmas! You're welcome Karen, Merry Christmas! Thank-you for sharing such a beautiful sample of your talent. Thank you so much for this beautiful gift! Merry Christmas. You're welcome Lis, Merry Christmas! Thank you Carol, Merry Christmas! Love the mini, thank you so much and have a Merry Christmas. You're welcome Elaina, Merry Christmas! Thank you for the lovely present. I wish I could do what you do but I'm stumbling through Photoshop Elements 13 and I wouldn't know how to do what you do. thanks and Merry Christmas to all and a Happy New Year too! You're welcome Corrine, Merry Christmas! Thanks Diane and Patty - this Blog Hop gift is beautiful! Merry Christmas. You're welcome hun, Merry Christmas! The mini-kit is beautiful. Thank you for sharing your work. So love your Christmas gift! Thank you! You are welcome, Merry Christmas! Thank you for sharing your talent and this wonderful mini kit. Happy New Year! There are no sweeter words that a parent, sibling, or other family member can hear. I love your fantastic color mix and those delicious gingerbread cookies. Thank you for this inspiring holiday gift. Happy New Year 2016. Hugs. You are welcome hun, happy new year! One of my favorite songs! Thank you so much and Happy New Year!! You're welcome Jules, happy new year! Love this kit, it's beautiful. Thanks so much!